The Tenor Viñas International Singing Contest is a major event hosted by El Gran Teatre del Liceu and co-organised by the world’s leading opera houses. 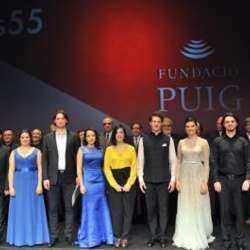 Throughout its previous 55 editions, the event has won international accolade for bringing to the fore prominent singers including Tamara Wilson, Javier Camarena or Violeta Urmana just to name a few. Come and join us for an evening of great singing and discover the voices that will light the stages of the best opera houses throughout the world. You can buy your ticket here: Protected content . There are good seats in Floor 3, section D, rows 2 and 3 (between 15€ and 20€). To RSVP please send me a private message and do not forget to sign up to the event. Thank you.